Understanding the key maintenance and energy management aspects of building management is critical to running a cost-effective operation. 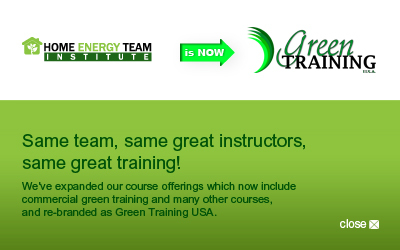 This course covers a wide range of topics, from veryday preventive maintenance tasks to developing and selling an energy plan. This 30-hour online course provides you with the skills to evaluate and optimize your current system, the know-how to integrate new components, and the ability to communicate your needs to management. Develop the skills and knowledge to perform cost/benefit analysis of HVAC, electric, and lighting systems and to create an energy management program for your facility. American Council on Education (ACE) credit recommendation: 2 semester hours, lower division baccalaureate in Facilities Systems and Management, Construction Management, or Engineering Technologies. This is one of 5 required courses to earn the SMT designation from BOMI. Course participants receive a certificate of completion for the BOMI Building Energy Management and Controls course upon successful completion of this course. Components, principles, adjustment, and maintenance of system controller, auxiliary devices, electronic, pneumatic, and computer control systems. BONUS: Commercial Lighting Assessor Course included at no additional charge.